A total of 41 records matched your search. 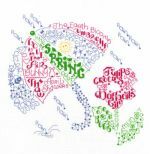 Another Day in Paradise by Diane Arthurs from Imaginating is stitched on 14 count or 28 count White with a stitch count of 179w x 103h using DMC or Anchor floss. 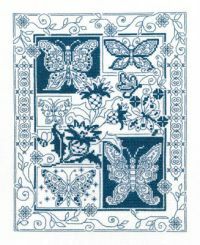 Butterfly Bliss by Diane Arthurs from Imaginating is stitched on 14/28count White with a stitch count of 120w x 150h using DMC floss. 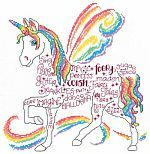 Happy Everything by Diane Arthurs from Imaginating is stitched on 14 count Fiddler's Light, a comparable 28 count fabric may be used with a stitch count of 254w x 58h using DMC or Anchor floss. 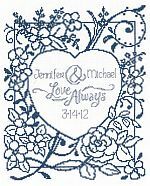 Honoring Marriage by Ursula Michael from Imaginating is stitched on 14/28 count White with a stitch count of 133w x 133h using DMC floss. Honoring Marriage by Ursula Michael from Imaginating is stitched on 14 count White with a stitch count of 133w x 133h using DMC floss. Hope designed by Ursula Michael from Imaginating is stitched on 14/28 count White with a stitch count of 109w x 98h using DMC floss. 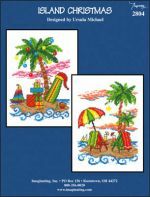 Island Christmas designed by Ursula Michael from Imaginating contains 2 designs stitched on 14/28 count White with a stitch counts of 70w x 98h and 70w x 96h using DMC floss. Let's Bake by Ursula Michael and distributed by Imaginating is stitched on 14/28 count White with a stitch count of 154w x 130h using DMC floss. 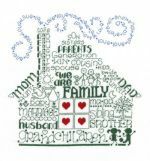 Let's Be Family by Ursula Michael from Imaginating is stitched on 14/28count White with a stitch count of 110w x 108h using DMC floss. 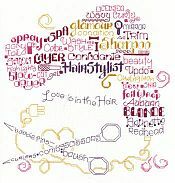 Let's Cross Stitch by Ursula Michael from Imaginating is stitched on 14/28ct white with a stitch count of 118w x 119h using DMC floss. Let's Do Coffee designed by Ursula Michael from Imaginating is stitched on 14/28 count Natural Light with a stitch count of 122w x 122h using DMC floss. Let's Do Tea designed by Ursula Michael from Imaginating is stitched on 14/28 count Natural with a stitch counts of 107w x 123h using DMC floss. 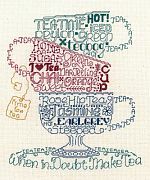 Let's Do Tea by Ursula Michael from Imaginating is stitched on 14 count White or a fabric of your choice with a stitch count of 107w x 123h using DMC floss. 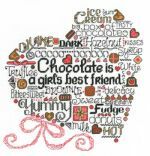 Let's Eat Chocolate designed by Ursula Michael from Imaginating is stitched on 14/28 count White with a stitch count of 120w x 120h using DMC floss. 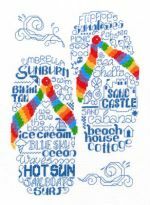 Let's Go To The Beach by Ursula Michael from Imaginating is stitched on 14/28ct White with a stitch count of 92w x 129w using DMC floss. 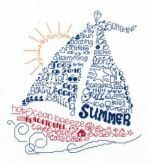 Let's Live By the Sea by Ursula Michael and distributed by Imaginating is stitched on 14/28 count White with a stitch count of 133w x 130h using DMC floss. 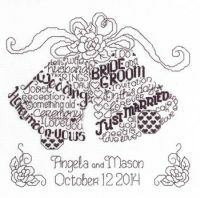 Let's Marry by Ursula Michael from Imaginating is stitched on 14/28count White with a stitch count of 120w x 129h using DMC floss or a fiber of your choice. 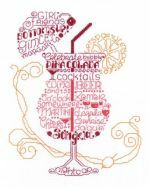 Let's Party by Ursula Michael from Imaginating is stitched on 14/28 count White with a stitch count of 96w x 123h using DMC floss. Let's Rejoice by Ursula Michael from Imaginating is stitched on 14/28 count white with a stitch count of 89w x 113h using DMC floss. 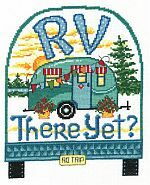 Let's RV by Ursula Michael and distributed by Imaginating is stitched on 14/28 count White with a stitch count of 155w x 70h using DMC floss. 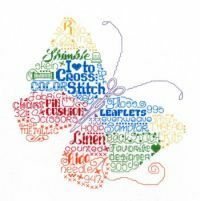 Let's Sew by Ursula Michael from Imaginating is stitched on 14 count White or a fabric of your choice with a stitch count of 132w x 98h using DMC floss. 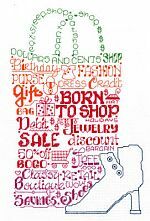 Let's Shop 'Til We Drop by Ursula Michael and distributed by Imaginating is stitched on 14/28 count White with a stitch count of 87w x 134h using DMC floss. Let's Think Spring by Ursula Michael from Imaginating is stitched on 14/28count white with a stitch count of 122w x 124h using DMC floss or fibers of your choice. Let's Tractorby Ursula Michael and distributed by Imaginating is stitched on 14/28 count White with a stitch count of 135w x 118w using DMC floss. 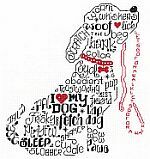 Let's Wag More by Ursula Michael from Imaginating is stitched on 14/28ct White with a stitch count of 93w x 124h using DMC floss. Love Always by Ursula Michael and distributed by Imaginating is stitched on 14/28 count White with a stitch count of 140w x 168h using DMC floss. 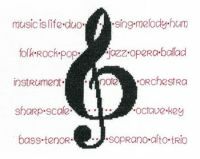 Music Is Love by Ursula Michael from Imaginating is stitched on 14 count or 28 count White with a stitch count of 120w x 108h using DMC or Anchor floss. Needlework Welcomes by Diane Arthurs from Imaginating is stitched on 14 count Oatmeal, a comparable 28 count fabric may be used with a stitch count for the Stitcher being 46w x 130h and for the Quilter 49w x 130h using DMC or Anchor floss. .
Praying Hands by Ursula Michael from Imaginating is stitched on 14 count White or a fabric of your choice with a stitch count of 128w x 179h using DMC floss. 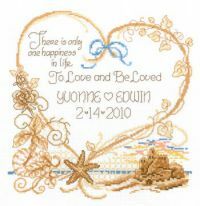 Seaside Wedding by Ursula Michael from Imaginating is stitched on 14ct or 28ct White with a stitch count of 140w x 134h using DMC/Anchor floss. 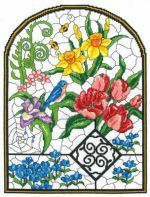 Spring Stained Glass by Ursula Michael from Imaginating is stitched on 14/28ct White with a stitch count of 138w x 183h and uses DMC floss. 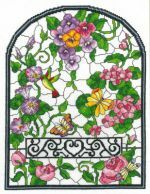 Summer Stained Glass by Ursula Michael from Imaginating is stitched on 14/28ct with a stitch count of 138w x 183h using DMC floss. 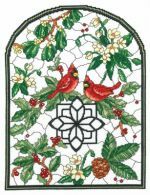 Winter Stained Glass by Ursula Michael from Imaginating is stitched on 14/28ct White with a stitch count of 138w x 183h using DMC floss. Winter Wedding by Ursula Michael fro Imaginating is stitched on 14/28 count White or a fabric of your choice with a stitch count of 148w x 126h using DMC floss.